Coach Rulo is among the world’s most known Laser coaches. One of his most recent coaching success is Henry Marshall victory at the Laser Radial Youth World Championship, and top 10 finish of Erika Reineke in a recent World Cup event. If you want to take feel what the worlds top sailors practice for to get better, join Rulo-Pre race clinic, January 14th -17th, 2019 and our February high performance clinic February 12th-16th, 2019. 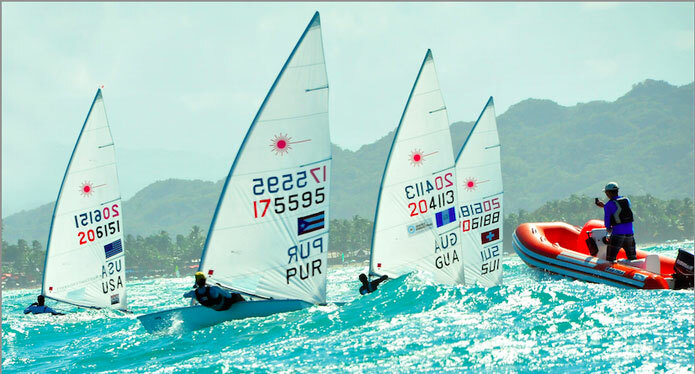 In the picture below, top-10 ranked sailors Charlie Buckingham USA, Juan Maegli GUA coached here in Cabarete by Rulo, together with under-21 world champion Juan Perdomo PUR, and Tokyo 2020 hopeful Guillaume Girod SUI.